A special waste deposited in a special bank. A couple of musicians and building products distributors, Daniela and Oscar, worried about the future they were leaving to their kids. The importance of exchanging knowledge and help they could see by only looking outside their house window and seeing the building rows grounded thanks to “s’aggiudu torrau” (the returned favour), an ancient practice still well working in Sardinia. All of this in a town in the south of the island, Guspini, where sheep quintuple inhabitants and where time, the soundtrack of this story, flows with no hurry. When, more than 10 years ago, Daniela Ducato first heard of the Bank of Time she thought it was the most suitable project for the 12,000 inhabitants community where she had moved following her husband, Oscar, who she met at the conservatory, where they both studied. “Le città invisibili” (the invisible towns), an entity through which people of every age deposit their time and knowledge and receive the same invaluable coin in return, soon became one of the first Banks of Time running in Italy (today there exist 132), allowing among others the changeover of 22 degraded areas into “feeling gardens”. It’s in the bank where Tonina, a neighbour client, one day deposited quintals of wool saying she was tired of spending a lot of money to burn it –it’s considered a special waste- but didn’t know how to use it. 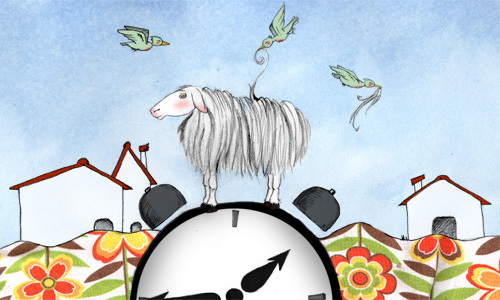 This entry was posted in innovative projects and tagged Bank of Time, daniela ducato, edilana, guspini, insulating sheep wool on July 23, 2010 by ninuccia. nugenderandexcellence by https://nugenderandexcellence.wordpress.com/ is licensed under a Creative Commons Reconocimiento-NoComercial-CompartirIgual 3.0 Unported License.